Peas are a cool-weather crop that is part of the legume family. While many gardeners enjoy their peas fresh from the vine, they can be easily dried and stored for use year-round. Drying peas is one of the simplest ways to store peas, as there is no need for canning or other special equipment to prepare them. You can make the dried peas into soups and other cooked dishes long after the garden quits producing in winter. Allow peas to fully mature on the vine for approximately one month longer than when you would pick them for fresh use. Pick the pea pods once they begin to dry and the peas rattle inside. Split open the pods and spread the peas out on paper towels. Allow them to finish curing in a warm, dry room for two weeks. Place the dried peas in a self-sealing plastic bag or tightly sealed container. Store in a cool, dry place until ready to use. Place two cups of dried peas in a pot. Fill with six cups of water and cover. Let sit overnight at room temperature to pre-soak the peas in preparation for cooking. Drain off the soaking water from the peas. Replace with six cups of fresh water and add one tablespoon of cooking oil to the water to prevent foaming. Use any type of oil you prefer. Cover the pot and place it on a burner on your stove. Bring the pot to a simmer. Allow it to simmer for 30 minutes to two hours, or until the peas are done. Stir the peas every 30 minutes while they are cooking. Peas are ready to use when they are tender enough to pierce with a fork. 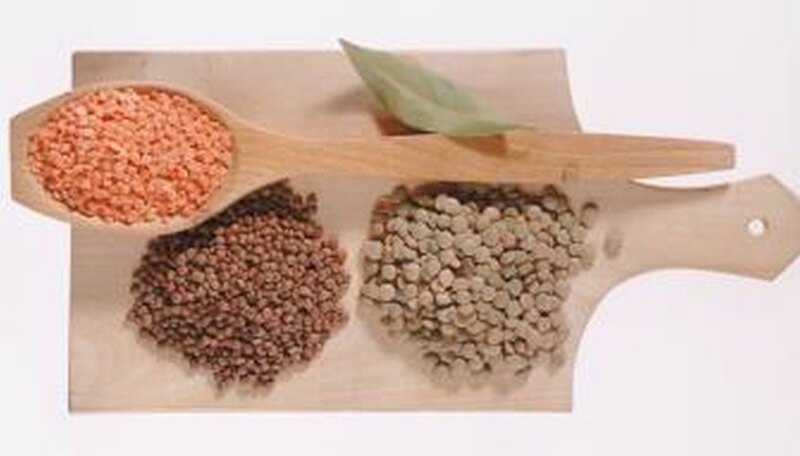 English shell peas and other shelling varieties are best for dry use. You can also pick peas when they are still tender for drying. Blanch them in boiling water then dry in a dehydrator. Use the peas in soups, casseroles and other recipes that call for peas. Moisture will ruin dried peas. Always store in a sealed container and check regularly for any moisture in the container.